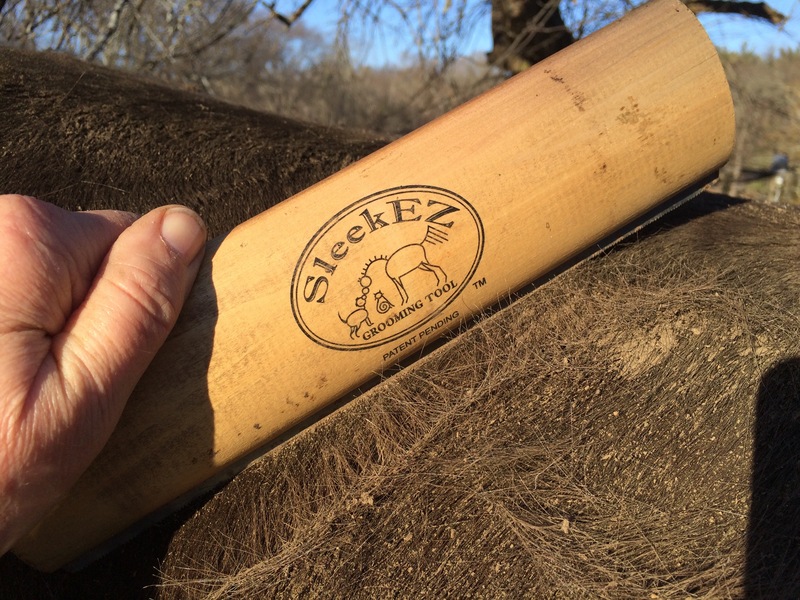 This is the first year I’ve used the SleekEZ tool and it’s done a great job at shedding out the horses. You can see that it’s also effective at removing dander and dirt, too. It’s shedding season. 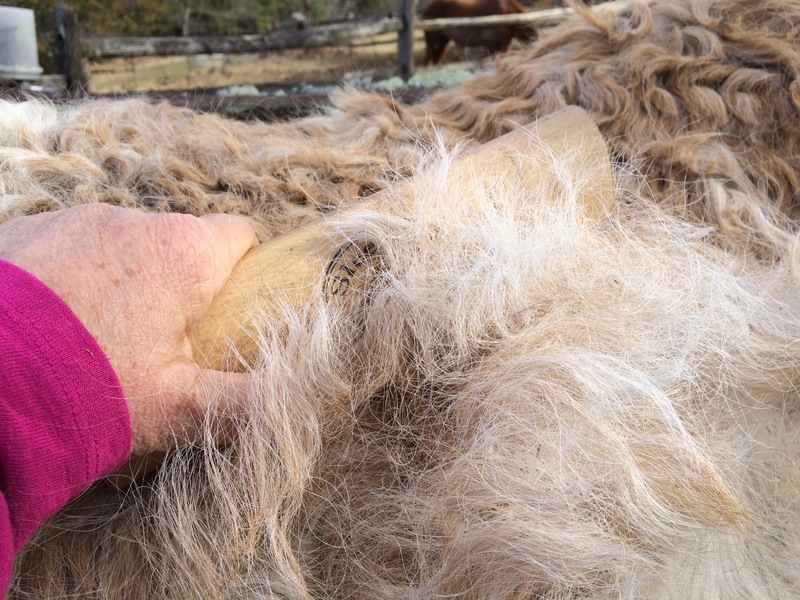 An unbelievable amount of hair is coming off both of my horses and I need help. The company sent me a set of three of their tools in exchange for a review. 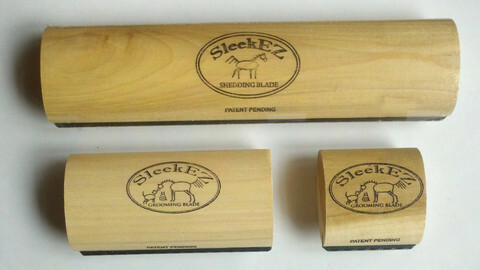 Last fall the folks at SleekEZ sent me a set of three of their grooming tools for me to review. Of course, last fall there was no real hair to remove. I used the tools occasionally to remove mud — they are very effective of that. And I used the smallest one on my cats. They all seem pretty happy with it, and it has reduced the amount of errant cat hairs in the house. My short haired cat needs regular grooming and he tolerates it pretty well. With three cats, I need a good grooming tool. My short haired tuxedo is a big shedder and needs regular grooming and he tolerates this about better than most. But it really comes into its own when used on the horses. The SleekEZ tool is pretty simple. It’s essentially a fine hacksaw blade set into a wooden handle. But sometimes simple is good. The tools are very easy to hold which makes it easy to make broad sweeping strokes, removing large quantities of hair. It’s better than the traditional shedding blade and the long length gets more hair than the Furminator that I bought a few years ago. In the past I’ve used a Slick ‘n Easy grooming block (make sure, if you Google it, that you don’t spell it differently!) and that works well but the block breaks if you drop it and it’s a bit harder to clean the hair off the stone. Here’s the ultimate test — can the SleekEZ handle the think pelt of a Bashkir Curly? I got a lot more hair off her than my two combined! I’ve been using it on both horses and even Freedom, who is a sensitive red head, hasn’t had any problems with it. The grooming tool removes a ridiculous amount of hair — the birds in the neighborhood are going to have very soft nests this year. So, this product gets a thumbs up from me. I got these a couple of years back and love them, on both horse and dog. They’re good at getting dried mud off, too.